More than 10.000 members have signed up for our poker education and community. All our members profit from an amazing bonus program and the best bonuses and promotions on the market, especially from the Tell a Friend Promotion. We want you to profit from this success – since you are familiar with our offer, you are the best ambassador we could ask for. Invite your friends and refer new members to YourPokerDream.com. We will reward you with up to 3,5% netrake commission. 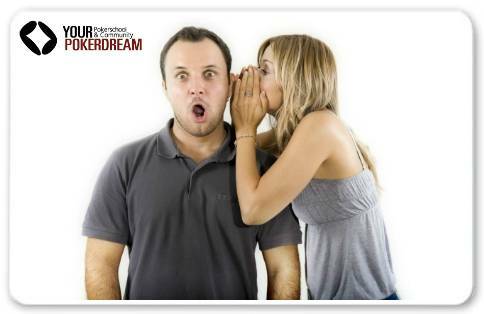 Do not lose time and tell all your friends about YourPokerDream. Of course talk here about a life time commision for every new member you bring to us. Earn real cash for each new member – to build your bankroll or to cash right away. It’s really simple. How to Tell a Friend and Refer a new member? -give us your ypd username after registering on YourPokerDream. You will get your personal Ref-Link when you sign up for our Tell-a-Friend program. Click here to sign up and start to earn extra money. It is really very simple to earn some extra money with YourPokerDream, because we offer the highest rakeback deal and best promotions all over the world. Attention: All players who want to promote yourpokerdream.com very actively have the possibility to get a special deal with higher commissions. Please send us an email to info@yourpokerdream.net or contact our live chat support. We are 24/7 available to answer all your questions and give you the best possible support.